I'm off to the lake for a weekend of fun in the sun! Boating, tubing, skiing, sunning, cooking, drinking and hanging out with great friends. Before I leave you though I thought I would tease you a bit with these glorious cookies or are they brownies? They're both! What!!? Get out of town! Shut the front door! They are soft on the inside and crunchy on the outside. Did I mention they were chocolate? Yeah, winner winner chicken dinner! Preheat oven to 350 degrees F. Line two baking sheets with silpat baking liners or parchment paper. (If you do not line the baking sheets, be sure to lightly grease them.) Pour confectioners' powdered sugar into a small bowl. 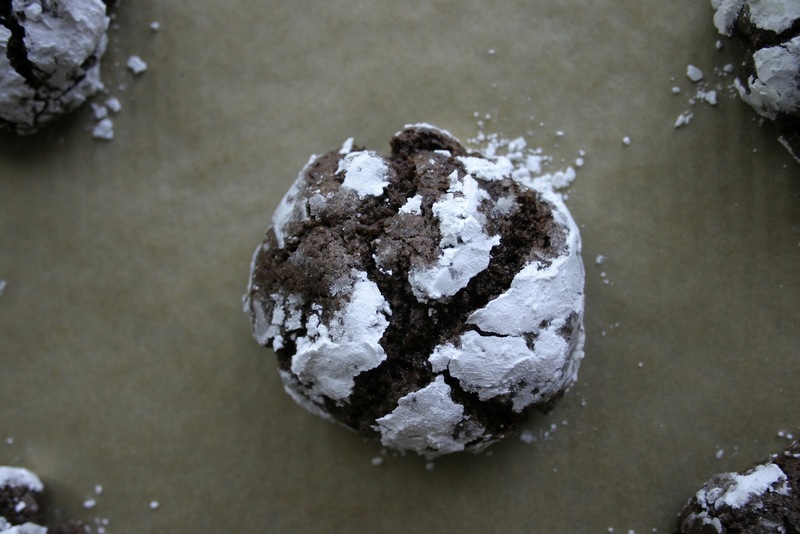 Scoop dough by teaspoons, roll into balls, and drop into powdered sugar, rolling around to cover completely. Place on prepared baking sheets 1-1/2 inches apart. Oh yum! Those sound wonderful! Hey Dee, hope you had a lovely weekend. If you packed some of these broookies/coorownies it is pretty much guaranteed! Gorgeous photos! I'll have to make these! combines my love of brownies and cookies! Such a wonderful treat Dee, perfect for kid's parties, can i substitute sugar with honey? I mean I love honey, and my kid's love them too. I don't see why not. Give it a shot and let me know how it turns out! Anne, I am so happy to hear that you enjoyed them so much! Chocolate always makes my day :) I still have your address so you may get a surprise around the holidays! These cookies look sooo good! Yum! Thanks Russell! They were oh so yum!